So, most of our layoff discussions have been started with a quick recap and history of job losses for the past few years. This thread is different and is based up to date news of ConocoPhillips layoffs in Scotland. The company has started informing employees that need to take a redundancy deal. This is part of a job cut plan that has been previously announced. 450 UK staff will lose their jobs between October 2018, and April 2020. The redundancies are as a result of the decision to cut back production in the southern part of the North Sea. Unlike some previous layoffs, this decision seems to be strategic, ConocoPhillips is expanding their US shale activities, and also just announced a new discovery in Alaska. ConocoPhillips employs around 1300 people in the UK, 700 of those in Aberdeen. 450 is obviously a big slice of that. In the next few weeks, some contracting companies will also be informed that they're no longer required. It was published in April 2018 by KPRC-TV, virtual channel 2, which is an NBC-affiliated television station licensed to Houston, Texas. 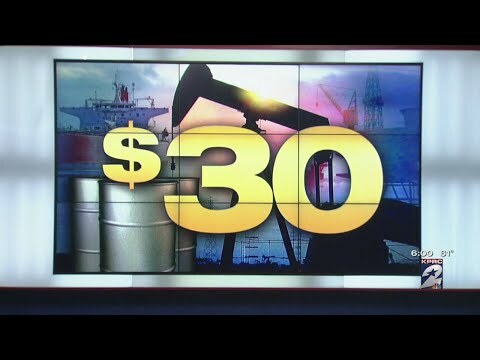 The video shows reactions when oil went below $30 Bbl. I remember this happening all too well! As with our other posts in the topic of oil and gas job cuts, we'll list out some of the news for the past few years. Then as new information comes out, we can add to the page to build a dynamic record. In September 2015 the company announced that it was cutting 500 jobs in Houston and that it anticipated cutting 10% of its global workers in the near future. This was related to the recent oil price crash, as many or even most companies chose to slash jobs. We have taken several steps as a company to adapt to lower and more volatile prices and strengthen our position coming out of the downturn... Over the past couple years, we’ve significantly reduced our capital activities and finished some major projects, which left us with more organizational capacity than we need. - Daren Beaudo, a company spokesman. In March 2017 170 job cuts were announced in Bartlesville, Oklahoma. This was because of the $13Bn deal with Cenovus Energy to sell off heavy crude and gas operations in Canada. This deal meant that ConocoPhillips exited its mining operations in the Foster Creek Christina Lake oil sands but kept half of its interest in the Surmont oil sands. May 2017 saw a further 300 job losses in Alberta, Canada. This was also related to the Cenovus asset sale, but this time the losses were focussed in Calgary. The oil industry in Alberta was experiencing a lot of change - and pain as a number of international companies were exiting the oilsands. Other companies leaving included Royal Dutch Shell, Total, Statoil SA and Marathon Oil Corp. The company said that it's preparing for "modest" job cuts in Houston and throughout the United States during this coming September. The reason given was to help keep costs down. "Employees have been informed that modest workforce reductions will occur in mid-September. We anticipate this will primarily impact Houston and Lower 48 employees. I do not have a specific number, as we are currently working through the staffing process." ConocoPhillips just posted a $1.6 billion net profit in the second quarter, but are keen to keep shareholders happy. Other actions in this regard include debt reduction, share buybacks and higher dividends. The company has reduced their global workforce from 19,000 people to around 11,000 in the last four years.